Cleveland truly does rock and features all kinds of little ethnic stores and markets such as Yeleseyevsky Deli (Russian), Lakshmi Plaza (Indian), Farkas Bakery (European Hungarian desserts – try the Napoleon! ), or the stores in Asian Plaza and the surrounding area (for a great list of ethnic stores be sure to buy a copy of Laura Taxel’s Ethnic Eats, which is currently in its eight edition). 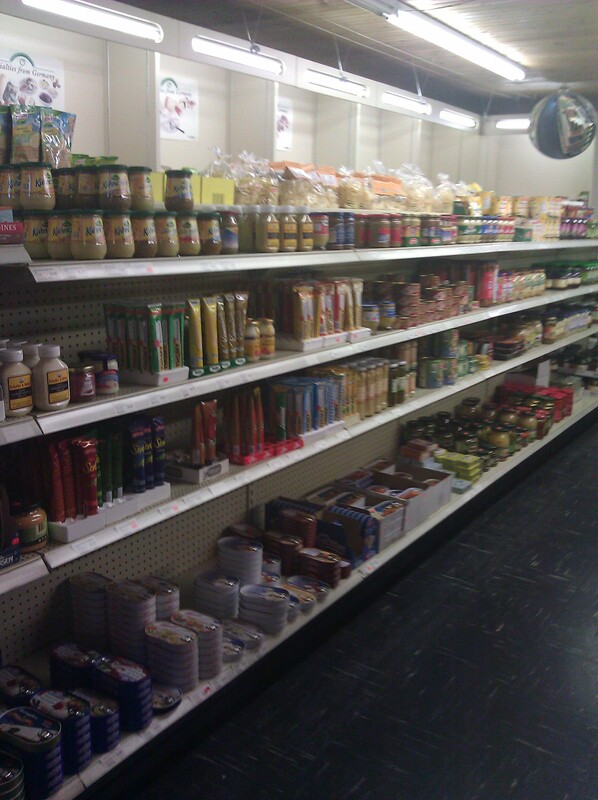 My favorite market that I regularly visit is Hansa Import Haus. It is located on Lorain Avenue just down the street from the West Side Market (across from Touch Supper Club and Farkas Bakery). Just look for the wrought iron gate. It has its own parking lot for customers. Hansa Import Haus has been a Cleveland legacy since 1957. Its current owner is Boris Music, a native of Slovenia, who also runs a travel agency out of the store. It’s a great store full of hard-to-find treats from Germany and other parts of Europe. Customers are greeted with Old World murals decorating the walls, German music playing throughout the store, and smells of fresh lunch meats and cheeses. Hansa gets fresh bread delivered to the store every week from the Dimpflmeier Bakery in Toronto, Canada and Reinecker’s Bakery in Macedonia, Ohio. 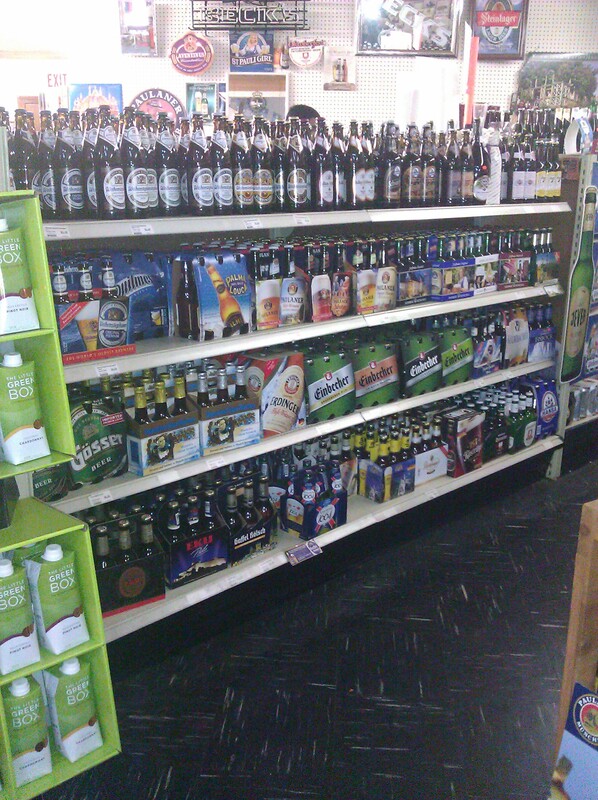 The selection of wine and beer (German beers as well as beers from Central and Eastern Europe) is incredibly good. The beer is available in single bottles, four or six-packs and pony kegs. In the real world (and not this virtual world) I am a German translator by trade. I began studying German in high school here in Cleveland and eventually earned Bachelor’s and Master’s degrees in German (and Russian) and German translation, respectively. Cleveland has a very strong German heritage, and I grew up at the Donauschwaben German-American Club in Olmsted Falls. 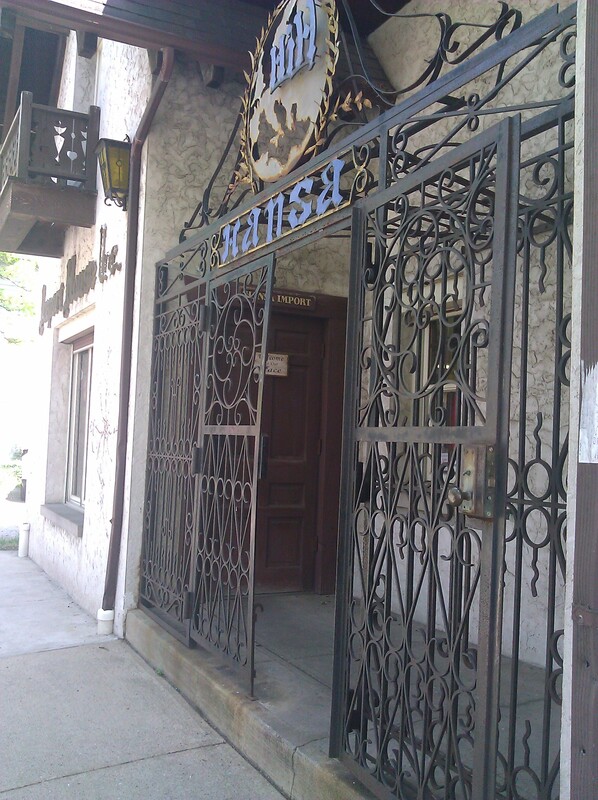 I lived in Germany for six years, and when I moved back in 2001 I was thrilled to learn about Hansa Haus in Ohio City. I can’t believe I hadn’t heard of it before that. Hansa Haus sells lots of European specialties, including (but not limited to) beer, wine, chocolate, candies, honey, condiments like mustards, ketchup, curry ketchup, shashlik sauce, jams, coffee, cookies, vinegars, herring, dairy products, sausages and wurst (if you like carpacchio, try the Lachsschinken – it’s amazing), and breads as well as Hungarian paprika and other spices, Persil detergent, Fa deodorant, Niveau creams and lotions, and many more items. 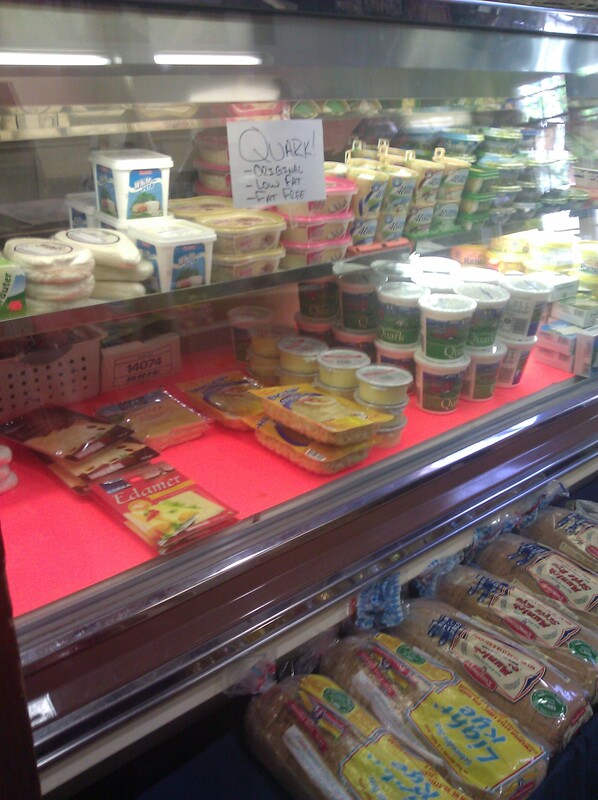 The coolers hold juice, herring, fresh cold cuts, cheeses, European butters (the Sauerrahmbutter is my personal favorite), and Quark (a European farmer’s cheese that is a cross between creme fraiche, yogurt and ricotta cheese). They even sell beer glasses and mugs, German magazines and curios such as bread boards, knives, Feuerzange [a metal grate mounted on top of the bowl to hold the sugar pyramid or Zuckerhut] for a Feuerzangenbowle [Flaming Fire Tongs Punch], Jausenbretter [wood boards that the Germans use to eat the evening meals of cold cuts and bread] and much more. The varieties of chocolate is worth a blog post all by itself. Hansa sells all the big brands, such as Milka, Lindt, Mozart Kugeln, Toblerone, Ritter Sport, KitKat (not the basic KitKat – they have several other varieties you can’t normally buy here! ), and other rare chocolates such as Kinderschokolade, Katzenzungen, etc. The chocolate varieties range from raisin and nut to strawberry yogurt and dark and milk chocolates, chocolate with cookies, chocolate with corn flakes, chocolate with spices… It will blow you away. The Milka Tenders (think Ho-Hos but better) are also pretty amazing. You’ll be amazed when you walk in and see for yourself how big it is. I love coming here right before Easter or Christmas and stocking up on the holiday chocolates (the German liquor-filled chocolates at Christmas are a particular favorite of mine), chocolate bunnies or Santas, cookies (Lebkuchen, Dominosteine, Stollen), and chocolate Advent calendars. 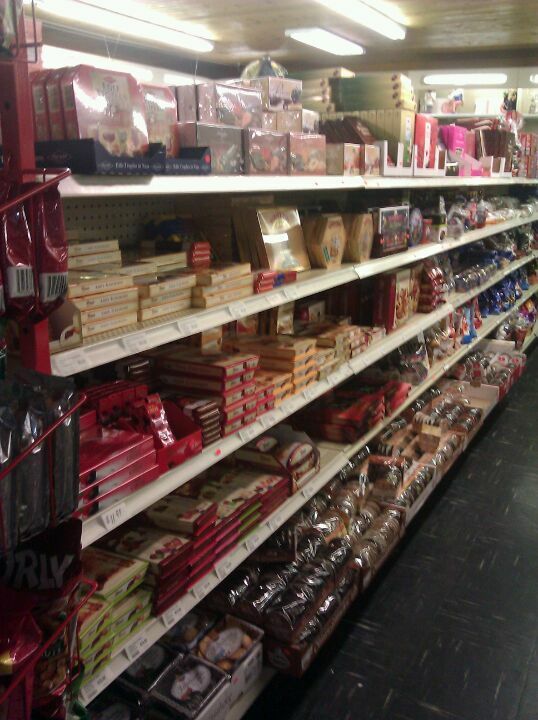 The last photo here was the aisle of Christmas goodies back in November of last year.